Engineers constantly need to drive innovation in their design work for better products and more efficient processes. To stay ahead, you need ever faster, more powerful tools that help you realize better performance and productivity. Inventor 2018 delivers just that. Improvements have been made in several core functionalities you use every day. Projecting geometry in sketching, multi-body sheet metal parts and part modeling workflows have all been enhanced. Inventor 2018 delivers key performance improvements to large assembly and drawing workflows. And integrated Model Based Definition has been added to give you the ability to add Geometric Dimensioning and Tolerencing and 3D Annotations to your models to streamline documentation and enable downstream use of your 3D designs for manufacturing and quality processes. 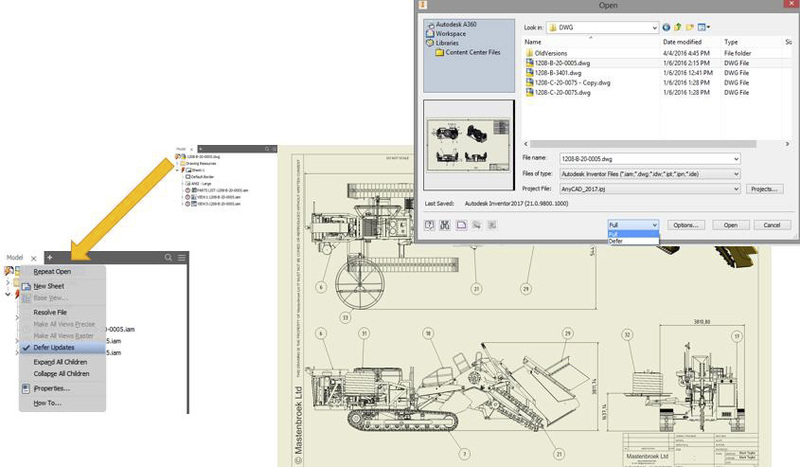 Model-Based Definition (MBD), is a powerful new set of tools for adding annotations, GD&T, and other manufacturing information directly to a 3D part. The integrated Tolerance Advisor checks the health of your tolerance scheme and lists potential problems, errors, and other information in the Tolerance Advisor browser. Once your 3D model has MBD and 3D Annotations applied you can recover in your 2D drawing, export in a 3D PDF or STEP AP242.